Congress MP Shashi Tharoor, who is seeking re-election from Kerala's Thiruvananthapuram constituency, has been injured in a freak accident while offering prayers at a temple in the state capital on Monday. He was weighing himself while doing thulabharam, a ritual popular in temples in the state, when the weighing balance came falling down, injuring Tharoor's head and legs. 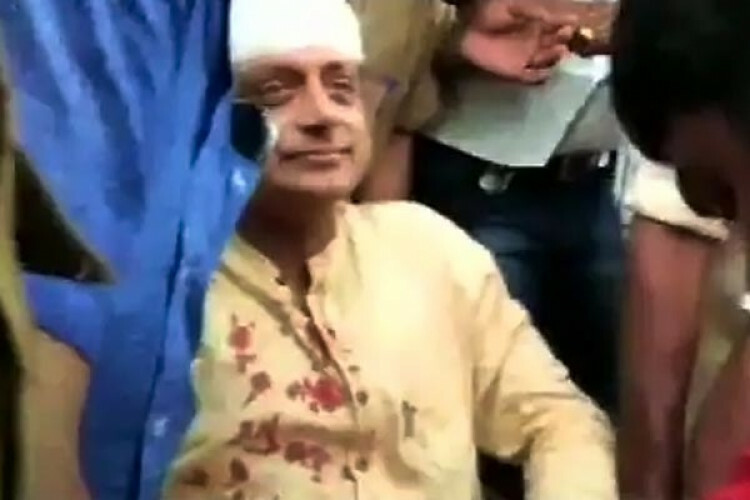 Tharoor received six stitches on his head.